A good show from Meon Valley B saw them beat Bridgemary Select 55-43 in the Palmerston Cup. The match kicked off with a dramatic first rink with Meon Valley, skipped by Steve Fisher, and Bridgemary, skipped by Peter Cooper, writes Brian Knight. 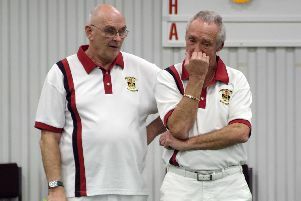 It was Fisher's Rink who were quickly in command and they led 9-1 after seven ends. But then a transformation from Cooper's Bridgemary rink followed. They went on to win the next five ends to push ahead 12-9. Meon Valley steadied but it was too late and Bridgemary won 18-12. A close contest between Meon Valley’s Adrian Both and Bridgemary's Janet Miskin saw them neck and neck early on. Going to the 10th end there was only a one-shot difference. But Bridgemary suffered a six-shot loss on the 11th end and that knocked the wind out of their sails as Meon Valley secured a 24-14 win. Bridgemary’s Lesley Howell was up against a strong Bill Bailey Meon Valley rink. The Bailey team didn’t concede a shot from the first seven ends and went on to win 19-11. Meon Valley collected 10 points with Bridgemary picking up just two. In the other match played Lockswood A earned a 69-47 success against Miltonions. The match was evenly balanced across the three rinks for much of the contest. 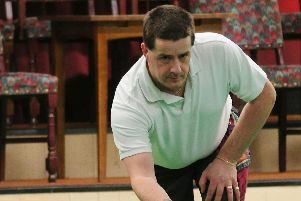 Wendy Brown's Miltonions struggled against Peter Wilkinson's Lockswood rink. They fell 26-7 down after 15 ends. But nine shots on the last three ends brought them back to a respectful 26-16 defeat. Miltonions Julie Greenwood and Lockswood's Brian Morgan were only one shot apart going to the 12th end. But a strong finish from Lockswood secured the win 21-15. Kath Patrick's Miltonions and Lorraine Slater's Lockswood had a battle which swung various ways. Lockswood finished stronger and ran out winners 22-16. Victors Lockswood A got 12 points while Miltonions didn’t pick up any.